Qualified buyers can drive home the exciting 2018 Jaguar F-PACE with a super deal available at Jaguar Colorado Springs. You could qualify for 1.9% APR for 60 months and a $2000 Allowance Credit on this luxury performance SUV. This offer is valid for qualified buyers with approved credit. It includes Dealer Handling but not tax, title, and license fees. You may not be able to combine this with all other offers. This offer is only available until October 31, 2018 so stop in today! Why choose the Jaguar F-PACE? This crossover SUV has everything — a spacious and luxurious cabin, sporty handling, and impressive acceleration thanks to the 2.0L I4 Turbocharged engine. The super AWD system delivers all-weather driving capability that you will love. 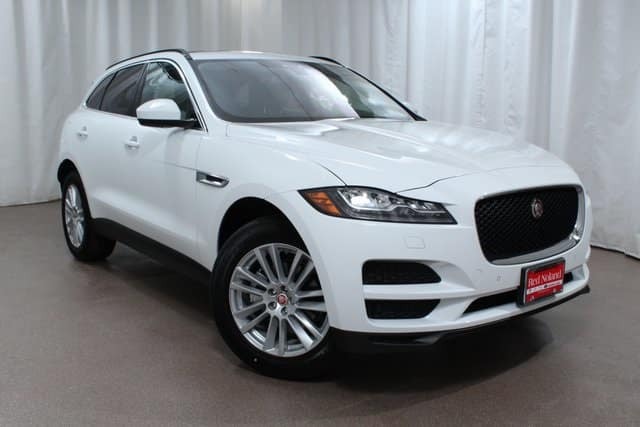 Visit Jaguar Colorado Springs today and get to know this capable and exciting 2018 Jaguar F-PACE SUV!